My after school art class just finished this adorable Horse Portrait using Oil Pastels. 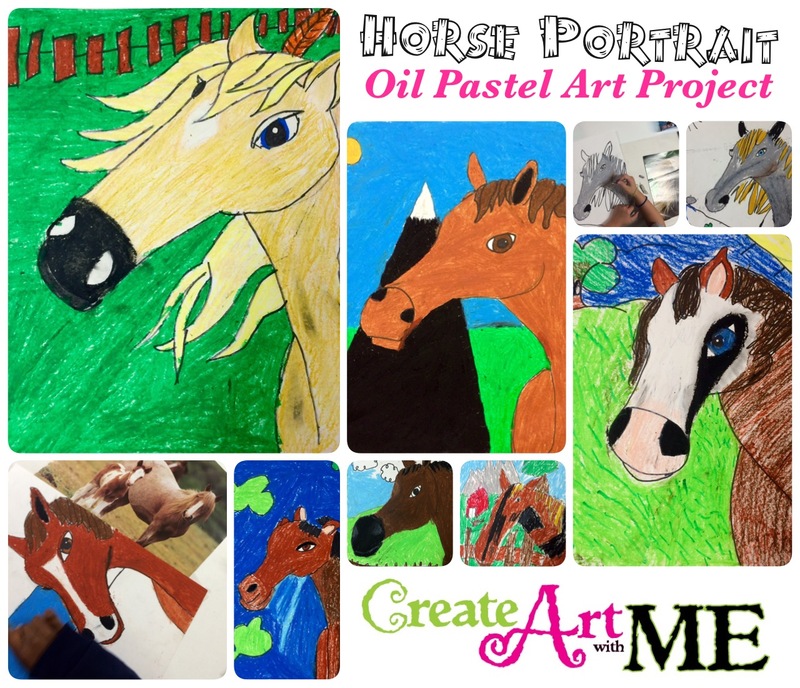 We were inspired by Mrs. Susa’s 5th Grade Oil Pastel Horses Lesson. I gave a teacher guided demonstration to show them how to draw the horse and they followed along with me step by step. The students range in age from Kinder-5th grade. This project could easily be adapted to older students by teaching additional techniques in either oil pastels, dry pastels or acrylic paint. 2. Add details to the drawing like the background (fences, mountains, grass, trees, etc.) or add gear to the horse. 3.Outline all lines with a Sharpie. If you choose to re-post or use any part of this post (written or photo) please link back to my blog page Create Art with ME.